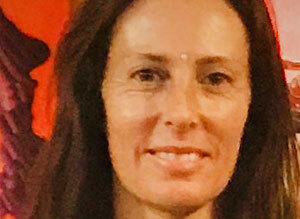 I describe myself as a holistic Yoga Practitioner and teacher trained in both yoga posture/ exercise, meditation, philosophy and anatomy simultaneously, completing an 18 month Hatha Yoga Teacher Certification level 6 through the Australian Association of Yoga in Daily Life 2004. Further study has continued to date and through a diversity of associations including of Tibetan origin, which have offered a depth of knowledge and experience to develop through. Since the 1990’s I have taught in high schools and yoga centres throughout Sydney, later merging into National events. Moving to Yamba in 2005, I have continued to share Yoga with people from all walks of life, currently teaching classes in the Clarence Valley and Richmond Valley Regions. I believe Yoga is beneficial for people regardless of age, occupation, religious beliefs and level of physical fitness. Hatha Yoga is a supportive practice which nourishes our bodies, minds and spirit and I have experienced this over many changes and stages through life thus far. In classes, an integration of physical postures, pranayama and meditation are shared to support a persons physical, emotional, mental and spiritual experience. I feel that these layers are blended and thus our whole wellbeing is the goal and joy of Yoga. In addition to my work in holistic health my other passions include, motherhood, ceramic potter and a near completion of a Bachelor of Education (Primary Years) study. I look forward to sharing yoga and wellbeing with you in our common journey called Life.